Thank you everyone who came out to the Howard Theatre to support this year’s bash! We raised more than $18,000 for the GW Mammovan. It was our best party yet. We’re very grateful for all the survivors who attended too. A special thanks to NBC News’ Andrea Mitchell who shared her story, advice and inspiration for all. 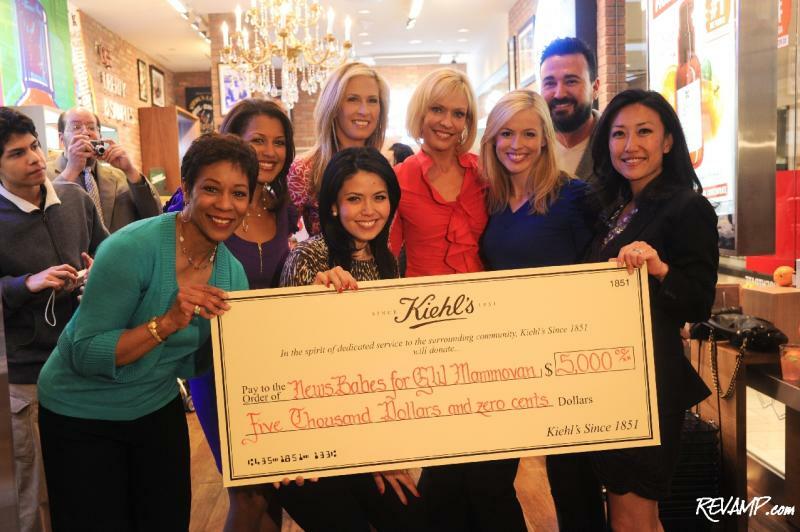 We had a big surprise at the Newsbabes Bash Kick-Off at the new Kiehl’s store at Tysons Corner. Kiehl’s presented the host committee with a big check for $5,000. The donation goes straight to this year’s benefactor the GW Mammovan. This money will help provide free screenings to women in need. We cannot wait for the main event June 19th! Leading women in politics came out to support our annual Newsbabes Bash on May 17th! We were honored to have HHS Secretary Kathleen Sebelius, DNC Chairwoman Rep. Debbie Wasserman-Schultz and DC’s First Lady or First Daughter as she likes to be called, Jonice Gray Tucker. We also heard very inspirational words from Fox News Channel’s Jennifer Griffin, a triple negative breast cancer survivor. Thank you to everyone who came out to support the Susan G. Komen Global Race for the Cure. See you next year! The 3rd Annual Newsbabes Bash is less than 2 days away! Do you have your pink attire ready to fire on one of the most fun nights of the Spring. There are still limited tickets left to Tuesday’s event with honored guests Ambassador Nancy Brinker, Health Secretary Kathleen Sebelius and newly appointed DNC Chairwoman Rep. Debbie Wasserman-Schultz. Of course a bunch of media personalities and politicos will be there too ready to get everyone pumped up for DC’s Race for the Cure. Get your tickets here! Georgetown Cupcake stars (and their cupcakes) Coming! Sophie LaMontagne and Katherine Kallinis star sisters from the TLC reality show ‘DC Cupcakes’ are coming to the bash. They’re also kindly donating their Komen cupcake for the event. The Beat Breast Cancer Pink Ribbon Cupcake helped raise thousands and was part of their recent episode where they built a giant pink bra out of 2,000 cupcakes! Thank you Georgetown Cupcake for your support. ON SALE NOW: Newsbabes Bash Tix! Only 200 will be sold so get your pink ticket today! Join top Washington newswomen and WTOP’s Bob Madigan May 17th for the 2011 party. Ambassador Nancy G. Brinker, founder of the Susan G. Komen Foundation will join us again this year along with our beloved survivors, supportive politicos and friends from the media world. Start searching for that pink dress or tie today! It’s official. 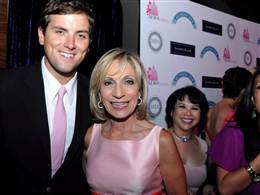 16 of Washington’s top newswomen have teamed up again for the 2011 Global Race for the Cure. Check out the DC Newsbabes Race Page. Even if you can’t attend the bash this year we hope you will consider a small donation to the cause! 75% of the money we raise stays right here in the DC, MD and VA area to help survivors and research. Click to subscribe to the latest "Newsbabes' news!